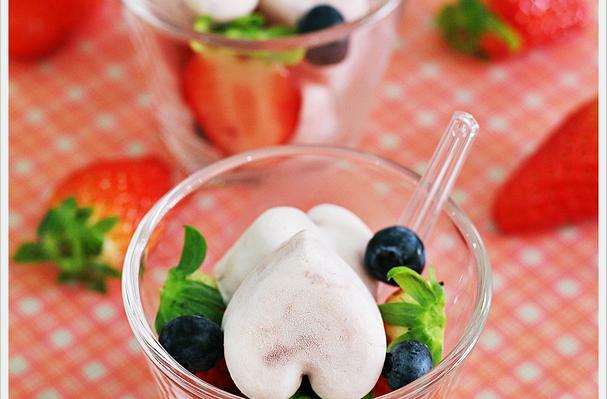 Give the yogurt a good stir and spoon it into the mini heart shape ice-cube tray. Freeze it for at least 2 hours or more till harden. (you can prepared this 1 day ahead). Rinse and cut the strawberries into halves, serve with blueberries or any fruits of your choice together with a few yogurt cubes in short glass.